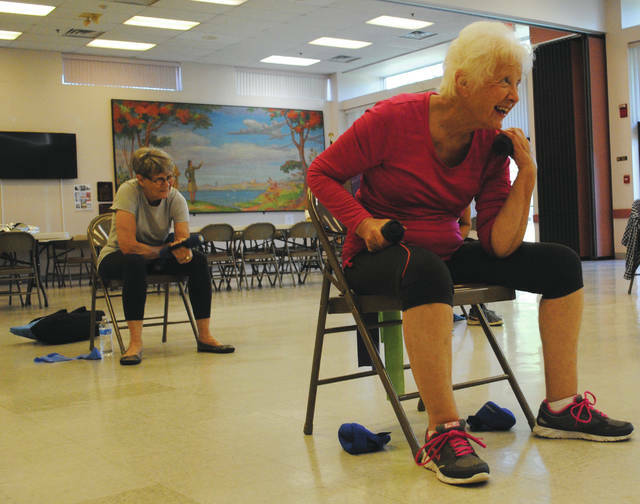 The Fairborn Senior Center hosts regular fitness classes for members. Participants utilize weights, chairs, and straps to work out. Fitness participants showing their “special pose,” otherwise known as warrior II in yoga. 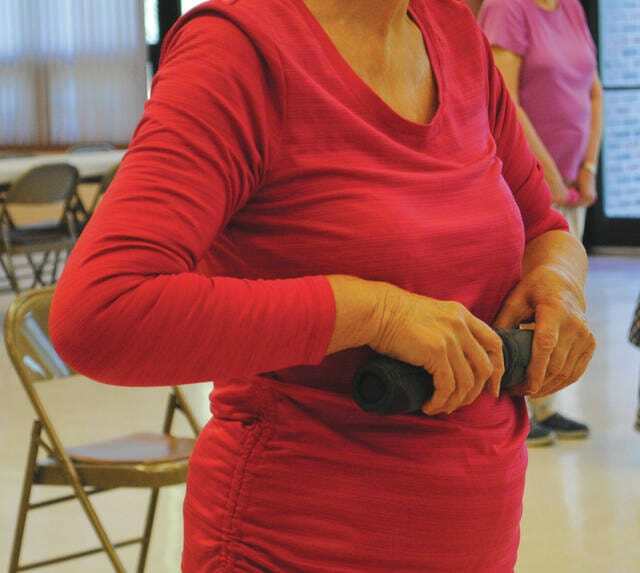 Whitney Vickers | Greene County News The Fairborn Senior Center hosts regular fitness classes for members. Participants utilize weights, chairs, and straps to work out. 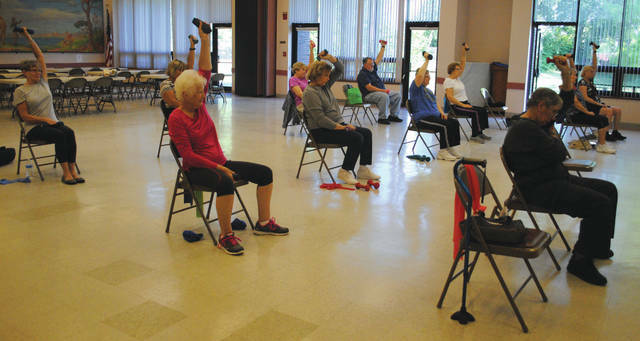 https://www.fairborndailyherald.com/wp-content/uploads/sites/50/2017/09/web1_5-1.jpgWhitney Vickers | Greene County News The Fairborn Senior Center hosts regular fitness classes for members. Participants utilize weights, chairs, and straps to work out. https://www.fairborndailyherald.com/wp-content/uploads/sites/50/2017/09/web1_1-1.jpgWhitney Vickers | Greene County News The Fairborn Senior Center hosts regular fitness classes for members. Participants utilize weights, chairs, and straps to work out. https://www.fairborndailyherald.com/wp-content/uploads/sites/50/2017/09/web1_2-1.jpgWhitney Vickers | Greene County News The Fairborn Senior Center hosts regular fitness classes for members. Participants utilize weights, chairs, and straps to work out. 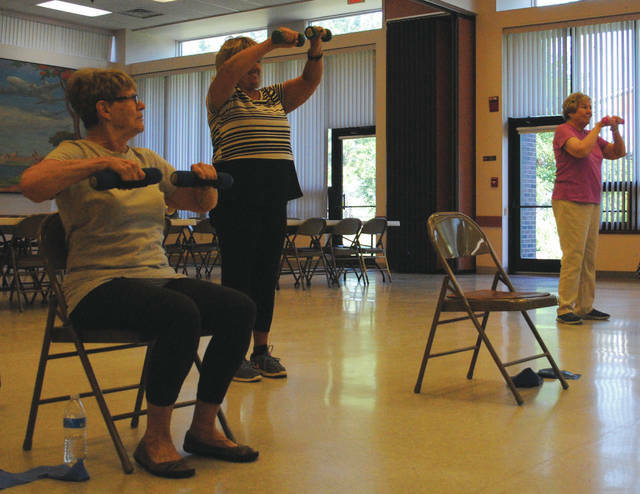 https://www.fairborndailyherald.com/wp-content/uploads/sites/50/2017/09/web1_3-1.jpgWhitney Vickers | Greene County News The Fairborn Senior Center hosts regular fitness classes for members. Participants utilize weights, chairs, and straps to work out. https://www.fairborndailyherald.com/wp-content/uploads/sites/50/2017/09/web1_4-1.jpgFitness participants showing their “special pose,” otherwise known as warrior II in yoga.